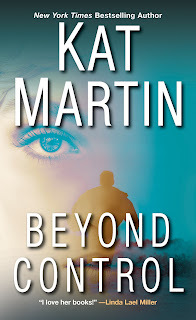 In Beyond Control, Kat Martin has crafted a compelling tale with edge-of-your-seat suspense, heartfelt romance, emotionally wounded characters, and a life-or-death battle against a charming psychopath with serial killer potential. This story grabbed me from the breath-stealing first scene and kept me glued to the pages until the very end. While their circumstances are different, Tory, her young daughter, and Josh are all survivors, vibrant and real. I felt compassion and affection for all three while Tory's diabolical former fiancé - and abuser - filled me with rage. Kat Martin sure knows how to create a despicable villain. Thankfully, she also knows how to give him the justice he deserves. Josh's innate protectiveness and gentleness toward Tory and her daughter while dealing with their unwanted intrusion into the solitary ranch life he craved after his service as a sniper in Afghanistan endeared him to me and had me hoping the three of them could find a way to be a family...if they lived long enough. While some crossover characters make appearances in this book (Josh is the younger half-brother of Lincoln Cain, hero of Book One, Beyond Reason), this third book can easily be enjoyed as a standalone. However, there is a secondary plot in the latter portion of the book that will make more sense and not seem as if it comes out of left field if you've already read the earlier books. 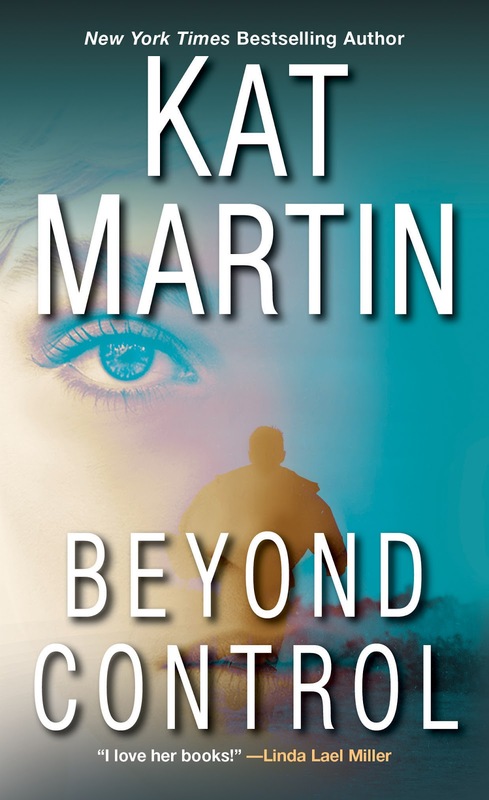 All three are fast-paced thrillers, with emotionally satisfying romance, that will have you coming back for more of Kat Martin's outstanding storytelling. The place where I feel renewed and good is the ocean and beach. Even a great lake since they are massive. I walk along the shore, watch the waves and realize that life is wonderful in this setting. Since I live in the foothills I pine for the beach and hope that each summer I can travel to my favorite place which gives me peace of mind. A beach would be wonderful - great background sounds and soothing while reading a good book! I am refreshed by a good book, beautiful scenery, the sound of ocean waves, flowers, a nap,or a hug from a loved one. By the way, this post reminded me that I won a Kat Martin book here back in January or February and never received it. No problem, I am just surprised that I forgot about it! I'll look into that, Cheryl. A walk in the woods does it for me every time. The peace of it and the soothing surroundings help me to let go of everyday tensions. Walking on the beach is soothing. I'm so sorry, Linda. I've been in your position. It's not easy. I do love to escape into my Kindle.....My husband's health keeps us from traveling so the deck in the back yard is about my only escape, or my chair. Somehow the rumbling and grumbling of realities drama is escaped with just sitting in either place and flipping on the Kindle. Sweet peace. I love sitting down by the river (about a mile from my house) at the Aquatorium-it's a dock and also holds concerts every summer!! I really need to get here earlier. I enjoy Kat Martin's books, no matter which sub-genre they are in. I started with her historicals and enjoy her paranormals and contemporary suspense books. I rarely have the time to relax anymore. When I can, floating in a canoe on a quiet lake ( just lie back and relax). A nice hike in the woods works, as does sitting on my porch reading.